Joe Pesci was a short, stocky, weary-faced character actor and unlikely leading man of the 1980s and 90s, usually playing Italian-American hoods and generic losers. 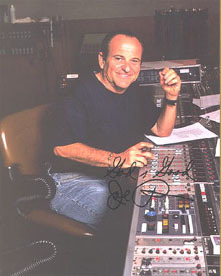 As a child, Pesci was an actor on local radio dramas, and at ten he was singing and dancing on the live TV variety show Star Time Kids. Adolescence, though, dealt him the face and frame of Joe Pesci, and his showbiz career came to a halt. In his 20s, he attempted a comeback as a singer, recording the album Little Joe Sure Can Sing under the stage name Joe Ritchie, and performing with Joey Dee and the Starliters (Pesci played guitar, and the band had several hits after he left). When music failed to pay Pesci's bills, he formed a comedy act with his friend Frank Vincent. The comedy never quite clicked either, but the friendship lasted, and they both appeared in a 1976 micro-budget gangster film called The Death Collector. The film was never released to theaters, and Pesci finally gave up on show business. Several years later, though, a cassette of The Death Collector somehow ended up in Robert De Niro's VCR. He showed it to director Martin Scorsese, and both agreed that Pesci would be perfect as Jake LaMotta's brother Joey in a film they were planning, Raging Bull. Pesci was managing an Italian restaurant in New York when Scorsese finally found him. Pesci was lauded for Raging Bull, and won the Best Supporting Actor Oscar for Goodfellas. In Casino, he played real-life mobster Tony "The Ant" Spilotro. He also did memorable work in Home Alone, My Cousin Vinnie, and Lethal Weapons 2-4. Just as suddenly as Pesci had come from nowhere to stardom in the 1980s, he quietly vanished from movies in the late 1990s, after Lethal Weapon 4. "I've given my whole life to show business", he explained. "I'd like to find out about another part of life, a more relaxing and spiritual part, and a more enjoyable part". After an eight-year sabbatical, he returned to work in 2006, with The Good Shepherd.